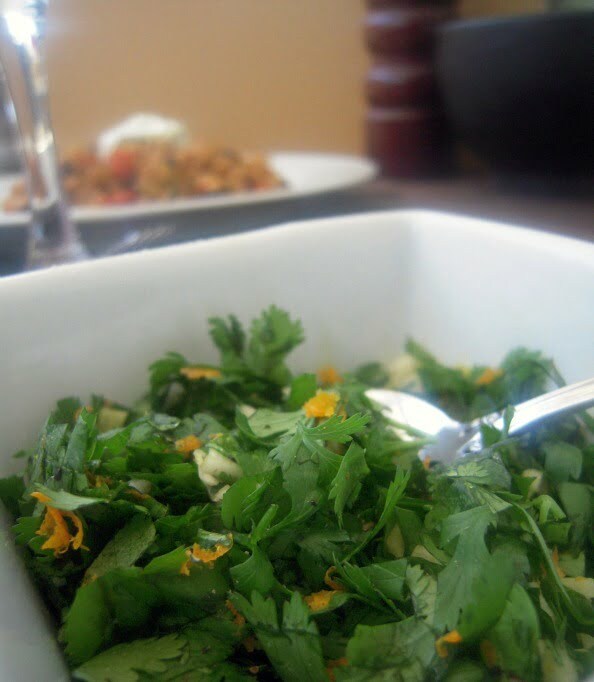 Cilantro orange gremolata is something that the kids might not like, but that’s ok! 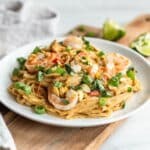 You’re going to love this delicious recipe. My son will eat anything as long as it doesn’t have flecks of green on it. 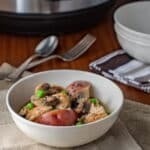 Broccoli is fine but if it’s tossed into chicken soup such that little green globules attach themselves to the carrots, then neither the carrots, the broccoli, nor anything else in the soup gets eaten. This goes for all green flecks. For awhile, I avoided herbs entirely because using them meant having to rinse off all his food before he’d eat it. Then I began using a bouquet garni wrapped in cheese cloth for soups, stews and sauces. This imparts a delicate herbal flavor which even little J likes (i.e., he doesn’t use the work “yucky” in its presence). But I started to miss robust herbal flavors and wanted a way to add them without instigating a tantrum. One afternoon while osso bucco simmered in the oven (head to One for the Table for a glorious recipe), I excitedly remembered that the traditional chopped herb and garlic accompaniment wouldn’t have to be skipped since it is added at the table. We could have green stuff on our veal and our son could choose whether he wanted to join us or not (guess what he chose). The gremolata solution was born. 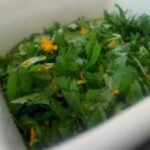 Now I regularly chop up an herb, garlic and citrus zest mixture for us to sprinkle into our bowls of soup or stew, over rice, roasted potatoes, pasta and sauce, vegetables of all kinds, and even over meat and fish. 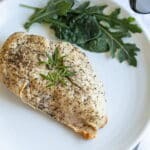 I often make a cilantro-based version with a bit of cumin, cayenne, lemon juice, oil and onion to sprinkle over seared white fish and approximate the flavors of chermoula. (Dinners and Dreams has a nice more traditional marinade-style chermoula here.) A few chopped up capers often hang out in this mix too. Here’s an even simpler cilantro version that is wonderful sprinkled over dirty rice. For the dirty rice, follow a recipe like this one from Dine and Dish or just mix together (gently with a fork) hot cooked rice, canned black beans (drained and then warmed in the microwave) and chili powder to taste. Smoked paprika and cumin love being in there too. 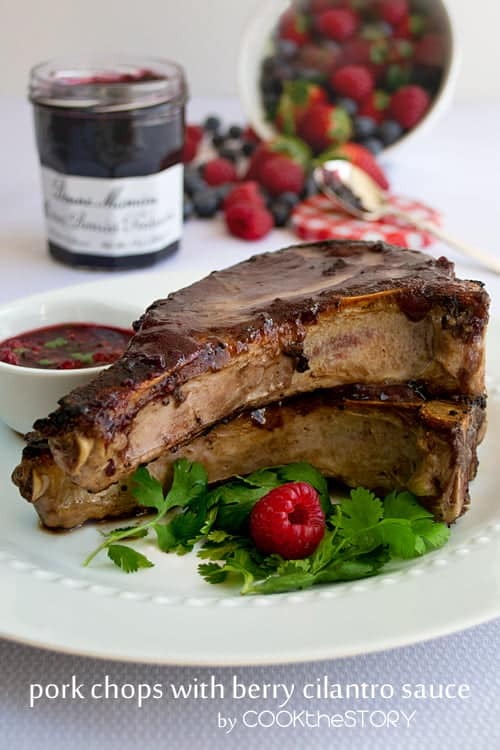 Oh, and if you’re a cilantro lover, be sure to also check out my recipe for ribeye pork chops with berry-cilantro sauce. You’ll love them! Let’s dig in to some of this delicious cilantro-orange gremolata! This sauce is delicious and a big hit on fresh veggies. A little goes a long way! Allow everyone to sprinkle a bit onto their meal, if they’re o.k. with adding some green to their food. But warn everyone: Gremolata is potent stuff. A little goes a long way. Too much can overpower. Add a little bit, stir it in, taste. Add more if you want or stop there.